Open daily for dinner 4:00 pm – 10:00 pm and 10pm-12am for late night pizza and bar service. 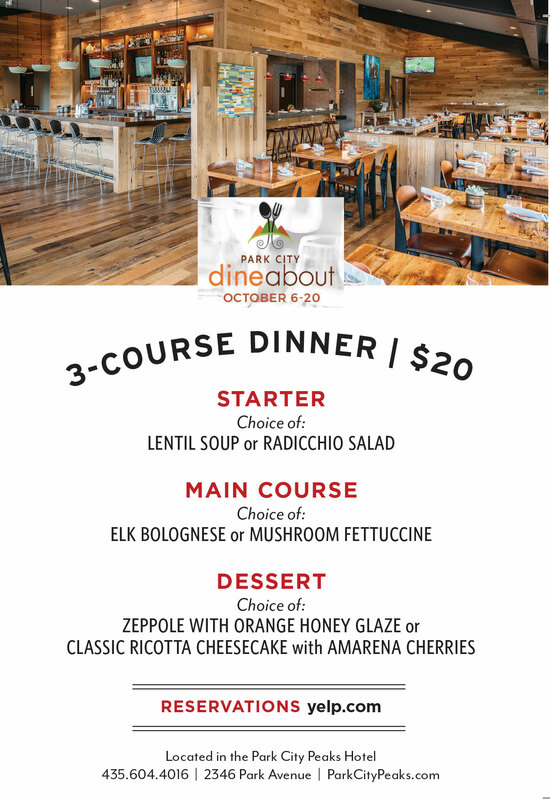 Affordable, comfort Italian food located at the Park City Peaks Hotel, features handcrafted, hearth-baked pizzas and street breads, innovative pastas, and Chef specialties in addition to local craft beers, wines and cocktails. Hearth-oven flatbread pizzas and handcrafted cocktails are just the beginning. An inviting and modern environment, combined with convenient location, quality ingredients and great pricing makes it a perfect spot for your next night out. Not only that, but they are moments away from the base of Park City Mountain Resort, and open right in time for après at 3 p.m., and stay open late night until midnight. Chef Jady Tippetts has been busy creating handcrafted pizzas cooked in a beautiful hearth, plus pasta, and other dishes, in addition to local craft beers, wines and cocktails. 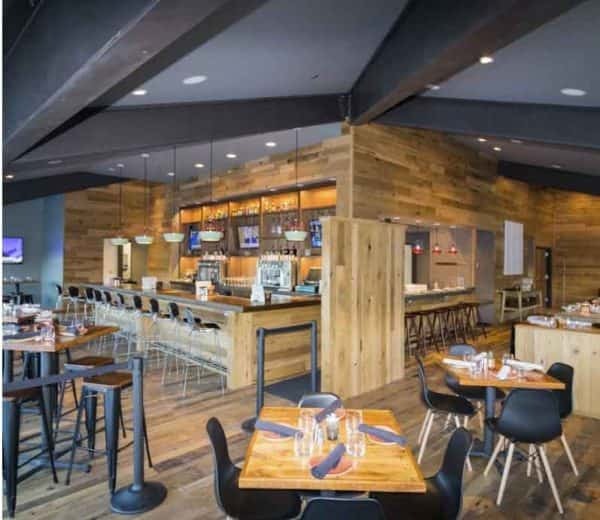 Experience the new on-site restaurant and bar at Park City Peaks Hotel for a new great locals spot!